I recall my brother & I laughing and dancing to the chorus! 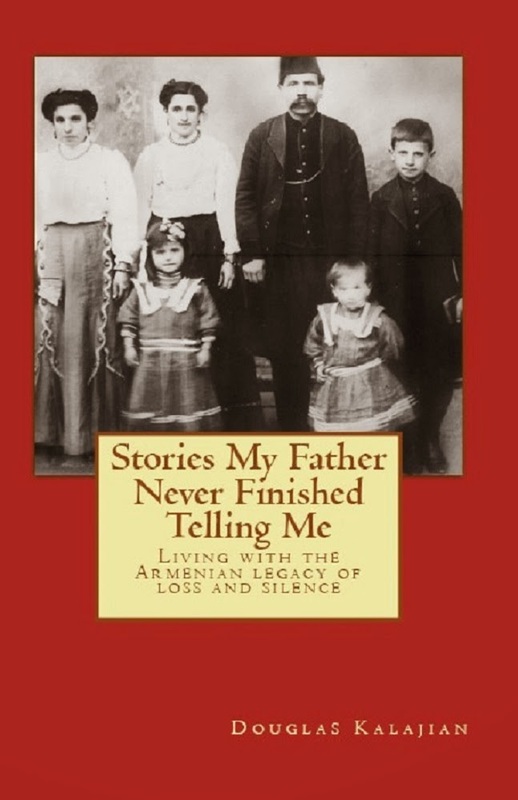 When my mother was young, she & the other Armenian children in the Paterson, N.J. area had Armenian classes 3 afternoons a week. Their teacher, Nevart (Bakalian) Hajian, traveled from distant Newark to Paterson to teach them the language, songs and dances of Armenia. The song mentioned above taught the days of the week. Each day was associated with a food, so this song cleverly served two purposes. One of my all-time-favorite fassoulia recipes is green beans with ground lamb. To lighten the recipe, we sometimes use ground turkey, which turns out to be a suitable substitute. Vegetarians will be happy to know this recipe translates well without any meat. 1. In a non-stick skillet, brown meat for about 10 minutes, stirring frequently. Drain any excess fat. Place meat in a bowl & set aside. 3. In a large pot, add the green beans. Pour the canned tomatoes, and the diluted tomato paste over the green beans; stir. 4. Add the meat mixture to the green beans. Mix together. 5. Bring to a gentle boil, then cover and simmer for 1 hour, or until beans are tender. Add a little more water or stock, as needed. 6. Serve with rice or bulgur pilaf. BONUS! Click How to make Fassoulia to see the video on YouTube! It tasted great! A dab of cold fresh yogurt on top is a nice touch. I am so excited to find your blog! We have an Armenian echange student living with us this year and I want so badly to fix some comfort food for her from Armenia. I can't find the spices that I need. Can you help! We are in Mississippi and there is nothings Armenian here. Armenian cooking is really very simple. If you're having trouble finding a certain seasoning such as allspice, simply omit it. If you'd like to recreate the essence of allspice, try combining equal parts of ground cinnamon, cloves, and nutmeg, with a dash of black pepper. However, salt and pepper always work. Try the Fassoulia recipe without the allspice; it will be just as comforting and delicious. I'm sure your exchange student will appreciate any effort on your part to make her feel "at home". If you have any other questions, please email me: robyn@thearmeniankitchen.com. PS: I'm glad you found the blog, too! If you don't mind sharing, I'd love to hear more about your exchange student and you. Thanks! A variation my mom used to make (and I make now) is to use cubed meat instead of ground. Then: omit the onion, basil, and oregano. Increase the quantity of garlic to 2-3 cloves (to taste) and add a little bit of dry mint (maybe 1/2 tsp). The directions are pretty much the same except that everything is done in one pot: Brown the meat in oil (or clarified butter) with the spices, add the minced garlic, then the tomatoes, tomato paste, and water (or broth). Simmer for an hour until the meat is tender and the beans are well done (they will be very tender and have lost some of their bright green color). Alternatively, you could cook the meat ahead of time, with salt, black pepper, allspice, an onion, 1-2 cloves. You then use the cooked meat and strained broth. This decreases the cooking time for the stew, allowing you to leave the beans crunchy if that is what you like. Oops! Forgot to mention that you should add 1 tbsp. lemon juice with the broth or water. Also, you can use the same basic recipe with other vegetables: green peas, fresh or canned chick peas, white beans, etc. etc. One variation that you use with zucchini (or Mexican squash, or really any squash) is to increase the lemon juice to 2 tbsp and the mint to about 2 level tbsp (yes, that's a lot of mint). You may also want to add 1-2 extra cloves garlic. The result should be sour, minty, and garlicky. This is called "mutanyah". Put first 7 ingredients in crock pot. Cook 4 hours on high or 8 hours on low. Cook crumbled meat in non-stick skillet, breaking up and stirring continuously until cooked through. Reserve and drain fat well. Return fat to pan adding onions. Stir to coat onions with fat. On medium temp, cook onions until med brown, adding water as needed in 2 tbsp increments to keep from burning. Add tomato paste, mixing in onions, and cook until paste is shiny. Add water/stock and mix thoroughly. Add meat and beans and mix well. Bring to a gentle boil, reduce to slow simmer and cook approximately 1 hour until beans at desired doneness. I'm brand new to Armenian cooking, but I'm fascinated by the use of allspice in so many recipes. Can't wait to try this recipe! now how could you "teach" us an armenian song that teaches us the days of the week and not include the entire song??? what happened to yerek shoptee, chorek shoptee....i don't know what to cook on what day, without the rest of the song!!!! please provide, for those of us who love the old traditions. i love this site and have just spent hours reading and copying recipes. 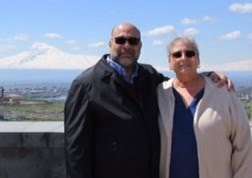 thank you for all your hard work, and especially for the bishi and armenian pancake recipes that my great aunt use to prepare when i was little. can't wait to try them and see if they are like hers. Koharig, I'm so sorry that the song is incomplete. Now that my mother has passed away, I don't know that I'll ever remember the rest of the song. If only I had recorded my mother singing it. I'm sorry for the delay in responding. To answer your question, try whisking in a whole egg to the yogurt, then adding it slowly as you cook the abour - stirring often. If you apply too high a heat, the egg will curdle. I hope this suggestion will work for you! There are probably many variations. Thank you so much for the completed lyrics! I'm going to make this tomorrow, thank you for the recipe! Green beans are in their full glory at the farmers market! The line above was sang: "Monday we have rice pilaf"